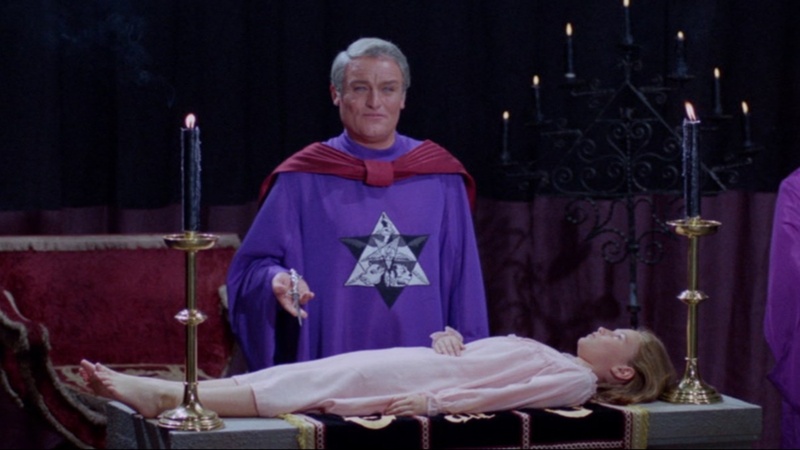 The Duc de Richeleau and his friend Rex discover their young charge Simon has fallen in with the powers of Darkness and is about to be baptized into the service of evil. Hammer Horror Films, I can't begin to tell you how much love I have for these features. One thing I've always enjoyed about Hammer Horrors is that above all else the story comes first, A story driven feature is always guaranteed to grab my attention instantly and I was lucky enough to grow up with these great storytellers. Another great thing about Hammer films is the attention to detail, even the littlest detail here is examined so carefully which pays off massively, especially for us viewers at it makes for some mesmerising scenes. The film stars Horror icon Sir Christopher Lee, I can honestly say I've never seen him put in a bad performance, ever. In this feature he shows us why he's one of the greats and It was also good to see him not playing the villain for once. 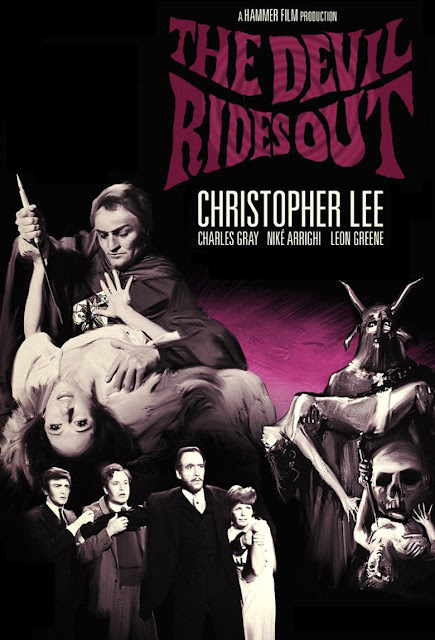 Sir Christopher Lee often stated that this was his favourite Hammer film and it's hard to disagree with him really, this was one of their best releases. It's got tons of atmosphere and dread, add that to a fantastic screenplay and you've got one great film. "The Devil Rides Out" is essential viewing, A Hammer great that needs to be watched by any serious Horror fan. Done at Christopher Lee's insistence that Hammer do a film based on a Wheatley fantasy novel. Mocata was based on Alistair Crowley in the original novel. Dennis Wheatley invited him to dinner for research purposes. The movie's US title was changed to "The Devil's Bride" because its original title made it sound much too much like a Western. Hammer first wanted actor Gert Fröbe in the role of Mocata. The film takes place from April 29 to May 2, 1929. Leon Greene's voice was dubbed throughout the film by Patrick Allen, the real life husband of Sarah Lawson (Marie Eaton). Scenes of this film were used in the 1982 video clip "The Number of the Beast" by UK heavy metal band Iron Maiden. Patrick Allen also did the voiceover for the UK trailer of this film. Released as the main feature on a double bill with Prehistoric Women (1967). A Look Back At "Masters Of Horror"
Morbid Anatomy Museum Needs Your Help!